Veolia’s Mike Byrnes discusses the importance of turning hindsight into foresight by planning and implementing energy resiliency ahead of the next natural disaster. Natural disasters are occurring more frequently, more severely, and impacting inland as well as coastal communities. Hurricane Florence is just the latest example. A well designed and installed microgrid can increase your resiliency, reliability, and keep you operating during these events. Last year, Hurricane Harvey forced some hospitals in Texas to close and transfer patients elsewhere. But amid the devastation, there were success stories. Some facilities withstood the impact due to their onsite energy generation and infrastructure hardening. There is usually increased interest in microgrids the day after the hurricane, but that interest declines as barriers arise. These include the realization that the projects are time consuming, capital intensive, or simply not knowing where or how to start. As time passes, the pain, disruption and cost of the natural disaster fade, along with the interest in resiliency. Keeping in mind that resiliency projects take time to plan and implement, the time to act is now. In the case of New York, for example, the major blackout in 2003 prompted many to look into emergency power generation, but few followed up and implemented this. The final blows were Hurricane Irene in 2011 and Hurricane Sandy in 2012; prompting remapping flood zones, changing building codes, and launching the “Reforming the Energy Vision” initiative. In the past, technology was a barrier for distributed generation resiliency solutions, and the utilities were not ready to support this service. The technology is now available, and utilities are actively working with clients who want to install co-generation, microgrids, solar and other distributed energy solutions. There are ways of turning hindsight into foresight, and overcoming the remaining barriers of implementing power resiliency. Specialist companies, like Veolia, are providing a ‘Microgrid-as-a-Service’ business model. This can accelerate project evaluation and implementation, and provide options for financing. The traditional approach for an engineering project is fragmented. Complete a feasibility study, followed by full engineering, and then hire a construction company to build the microgrid. A Microgrid-as-a-Service provider can carry out all of these steps, providing continuity and speed. Critical facilities and communities considering solutions like microgrids to address energy resiliency concerns can’t always afford to wait. Alongside continuity, a provider specializing in microgrids brings a wealth of project development and implementation experience. Veolia, as a worldwide company, is building several large resilient power and thermal projects per year, whereas most clients may be involved in one or two in their entire career. Hiring an expert gets the project done faster; reducing the time a customer is exposed to natural disasters. 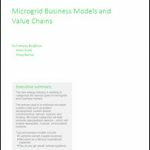 With Microgrid-as-a-Service the supplier can front all of the initial design and installation costs of the microgrid and the customer pays only for energy delivered. The primary lesson from these events is that we may not know when or where the next storm or grid event will take place — but they are occurring with greater frequency. Critical facilities and communities considering solutions like microgrids to address energy resiliency concerns can’t always afford to wait. 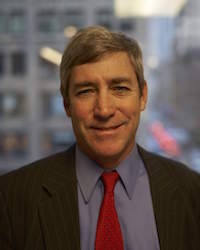 Mike Byrnes is senior vice president of Veolia’s North American energy consulting practice. I had written a blog on Resiliency being the 4th part of Sustainability after returning from the ASHRAE winter conference in January, 2018. https://www.newmanconsultinggroup.us/green-building-blog/ashrae-winter-2018-recap-resilience. Mike’s article is excellent. Takes it one step further. We work with various companies to provide energy-conserving systems and equipment as part of Power Purchase Agreements (PPA). It looks like we just found another one!